September 7, 2011- With the electric-only powertrain of the A2 concept, Audi is offering another peek into the future of electric mobility at the 64th International Motor Show (IAA) in Frankfurt. The technical study features a classic, premium-standard space concept that offers plenty of room for four people. With the A2 concept technology study, Audi is offering a peek at electric driving in the megacities of the future. 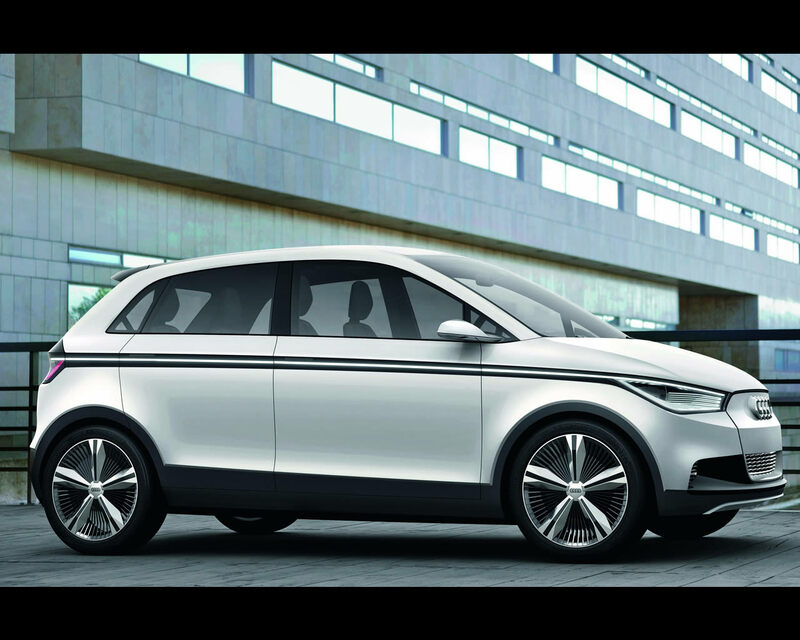 The purely electric powered A2 concept is a classic space concept: a premium vehicle for metropolitan areas featuring generous amounts of space and composed road manners. The technology study is packed full with attractive, intelligent technologies. An innovative body technology – a further development of Audi’s ultra-lightweight construction – limits its weight to just 1,150 kilograms (2,535.32 lb). 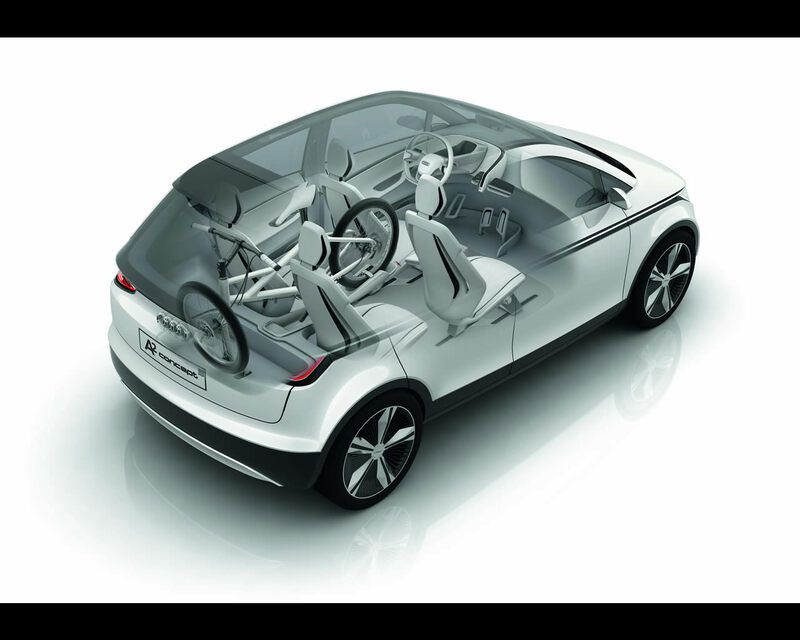 Audi connect technologies provide an Internet connection; the steering and brakes are purely electric (by-wire) systems. 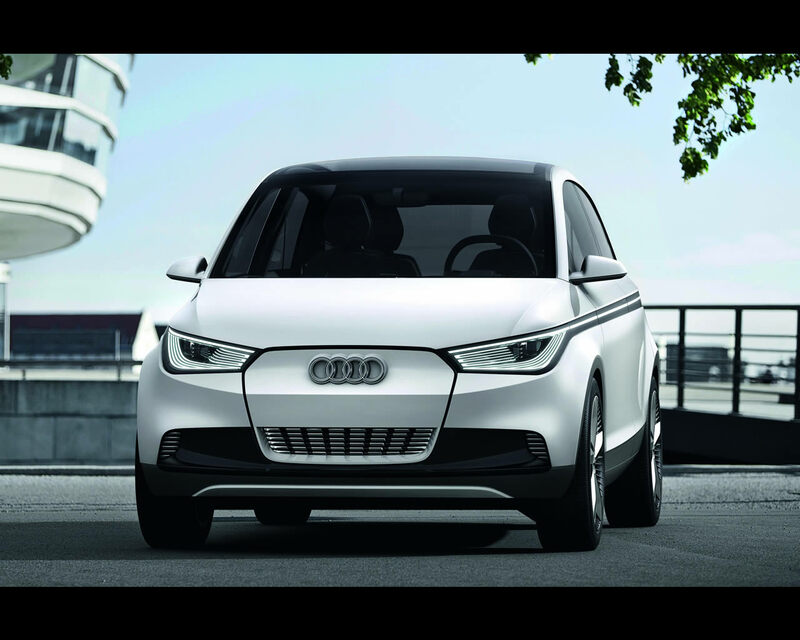 The Audi A2 concept is a purely electric vehicle. The lithium-ion battery mounted in the sandwich floor stores 31 kWh of energy, 24 kWh of which are usable. The electric motor is transversely mounted in the front of the vehicle. It delivers 85 kW (116 hp) of peak power (60 kW continuous) and 270 Nm (199.14 lb-ft) of torque (160 Nm (118.01 lb-ft continuous) to the front wheels via a single-speed transmission. The Audi technology study has a range of 200 km (124.27 miles) in the European driving cycle. It takes roughly 1.5 hours to fully recharge the battery with 400 volt three-phase current and approximately four hours with 230 volt household current. 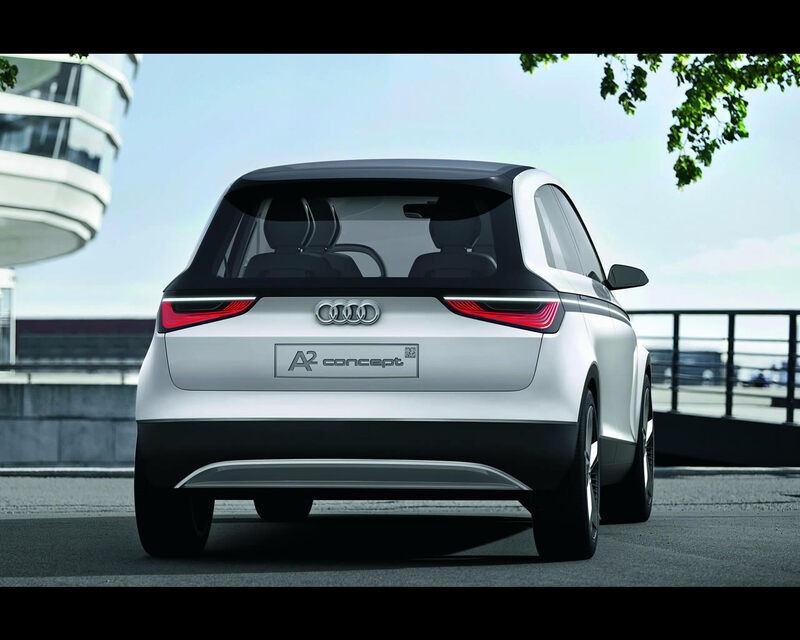 The Audi A2 concept is also designed for the new contactless charging technology (Audi Wireless Charging). The show car weighs less than 1,150 kilograms (2,535.32 lb). This is due primarily to its body, which features the most advanced state of Audi’s ultra-lightweight construction. The A2 concept marks the first time that the ASF has been combined with hybrid multimaterial construction, in which very different materials are combined with one another. In this case, the superstructure is made largely of aluminum components and is complemented by add-on parts of carbon fiber-reinforced polymer (CFRP). 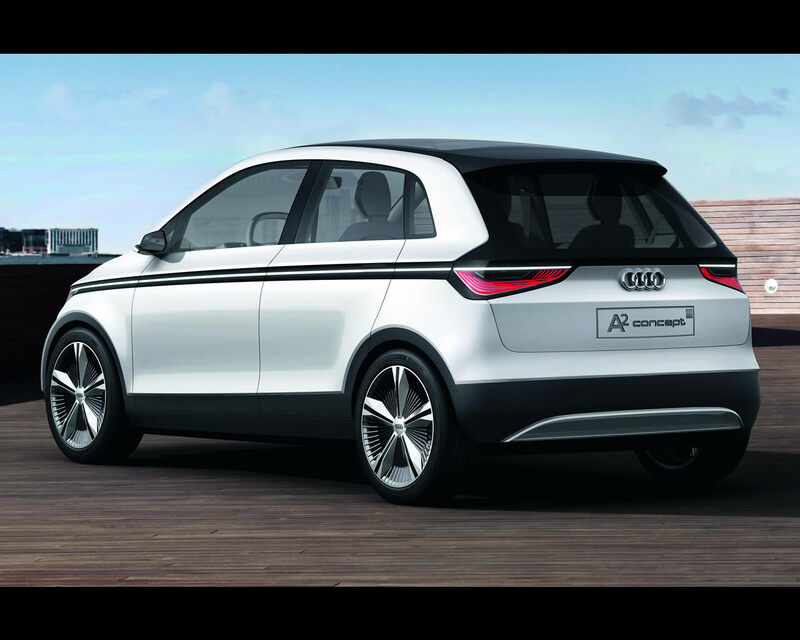 The Audi A2 concept is an agile vehicle. It accelerates from 0 to 100 km/h (62.14 mph) in 9.3 seconds; top speed is limited to 150 km/h (93.21 mph) in the interest of range. A McPherson strut front suspension and a torsion beam axle in the back provide for agile handling. The steering and brake systems are purely electric (steer-by-wire and brake-by-wire), requiring no mechanical or hydraulic connection to the steering wheel or the pedals, respectively. The 18-inch wheels are fabricated using cladding technology. The alloy base wheel and the cladding are manufactured separately and bonded together, greatly reducing the amount of material used. The new hybrid technology, which Audi already uses in some production models, saves roughly two kilograms (4.41 lb) per wheel. 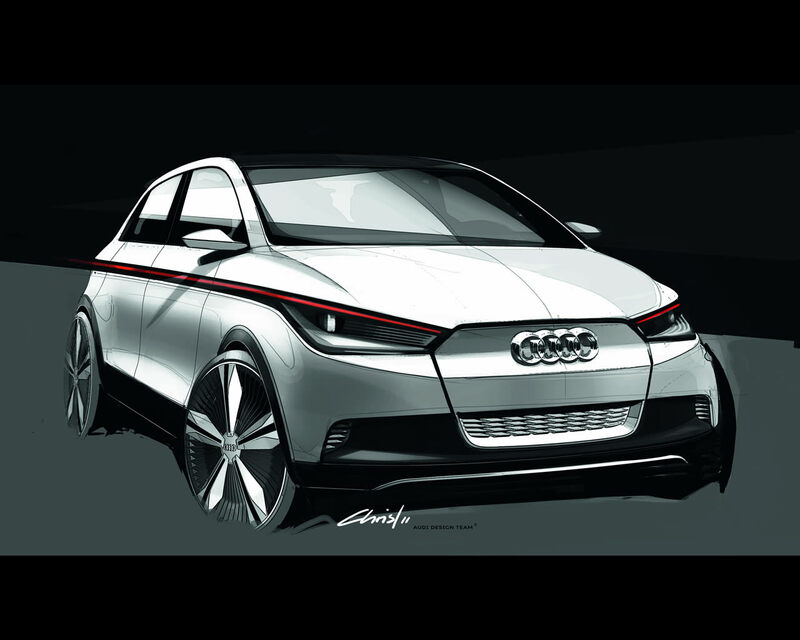 The wheels of the A2 concept combine the blade look of the e-tron family with Audi’s classic spoke design. 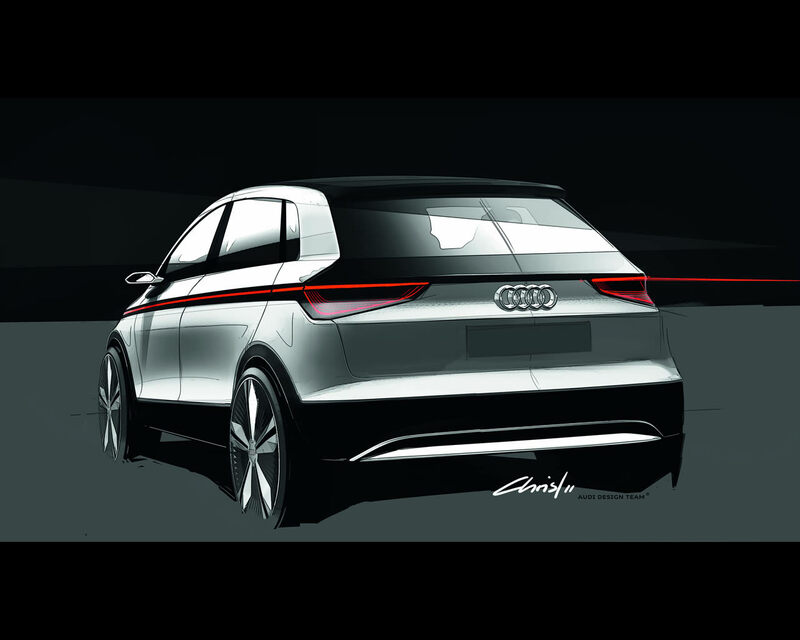 The Audi A2 concept demonstrates the complete skill set of the Audi designers in a compact space. It is just 3,804 millimeters (149.76 in) long, 1,693 millimeters (66.65 in) wide and 1,494 millimeters (58.82 in) high; even so, it makes it makes and elegant, powerful and sporty impression on the road. As is typical for Audi, its clean appearance concentrates fully on the essentials. 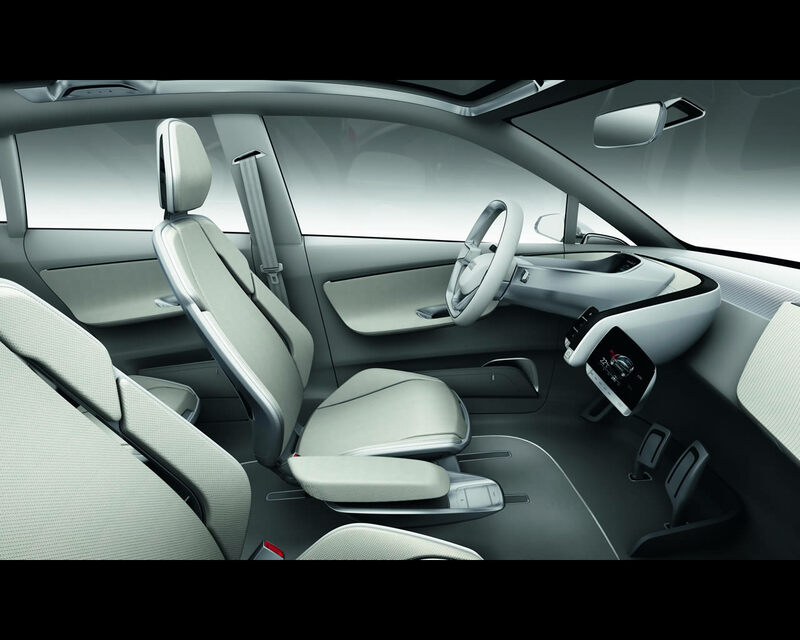 The interior also reflects the philosophy behind the Audi A2 concept. It is light, clean, open, and spacious with intuitive controls. The dashboard is split into two sections, with the semi-circular left section enclosing the driver’s area. The Audi dynamic light runs along the edges in two separate arcs from the doors to the cockpit. It welcomes the passengers in a manner similar to the light band on the exterior. 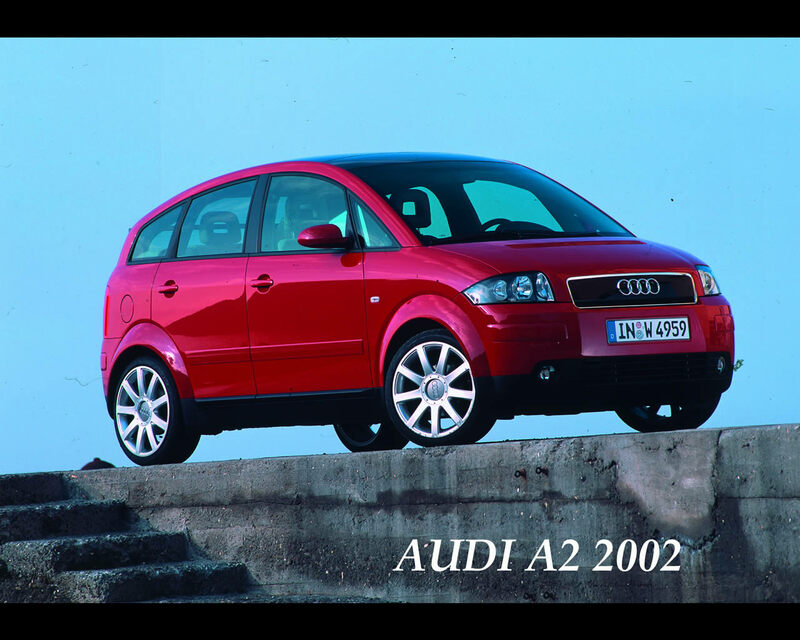 Picture 18 shows the Audi A2 produced at 175.000 units starting from 1999.